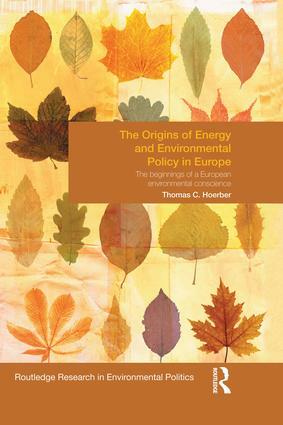 This book examines the development of a European environmental conscience through successive steps of European integration in energy policy. In the 1960s-70s, the world was slowly beginning to realise that environment degradation was not sustainable. With phenomena such as acid rain, it became clear that pollution did not stop at national boundaries and the European environmental conscience developed in parallel to such growing environmental concerns. The oil crisis in 1973 was a turning point in the integration process for both energy policy and environment policy, and while further integration towards the European energy policy failed; the environmental policies took shape in measures such as energy saving. The Commission incorporated both energy and environmental policies into the EU policy canon and built an institutional framework, responding to the insufficiency of national policy answers and the developing environmental conscience of the European people. This book will be of interest to students and scholars of European Integration, European Union politics and history and environmental politics and policy. Thomas C. Hoerber is Associate Professor at the Centre for European Integration at the Ecole Supérieure des Sciences Commerciales (ESSCA), LUNAL University in Angers, France.